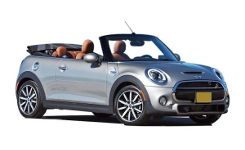 A mid-sized convertible and stylish car. Open to enjoy your drive on the island. You will love it. It has enough space for 4 people and some luggage.